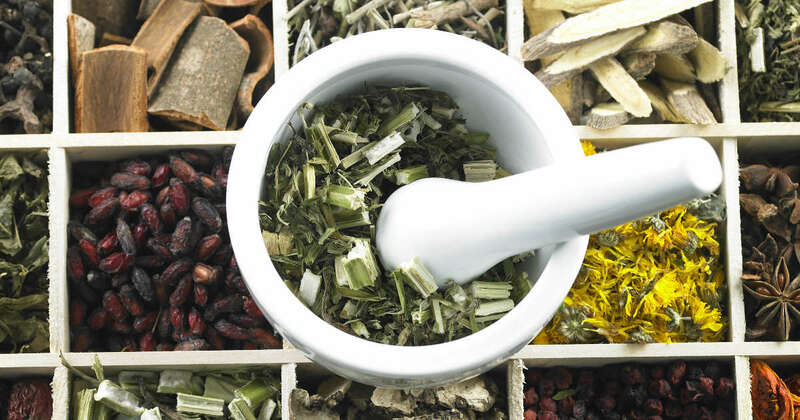 Before the advent of modern medicine, people used herbs and spices to effectively treat everything from colds to cancer. What worked then still works. Pharmaceuticals can sometimes treat symptoms but never cure the problem and often have serious side effects. Working with Nature–of which your body is a part–can assist your body in healing itself. We all experience pain at some point, whether from illness or injury. 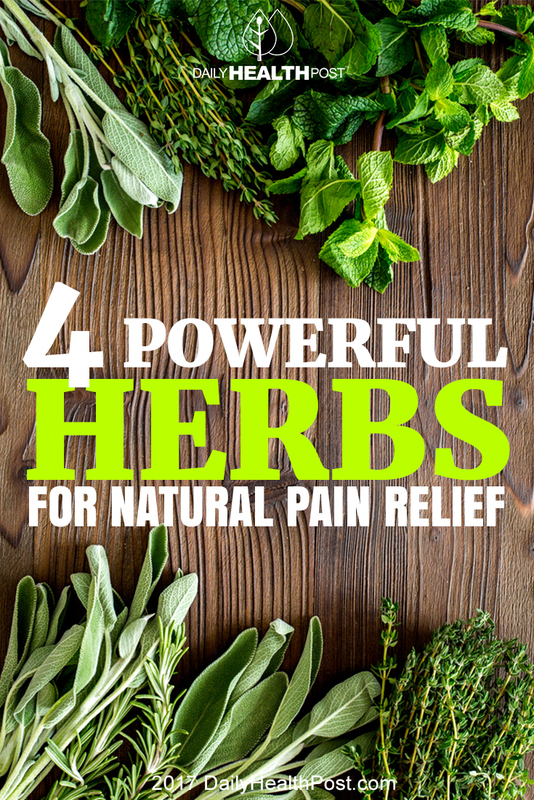 Let Nature provide the relief you need to fight the pain and fix the problem at its source. Before taking any herb or spice for any condition, check with your healthcare provider first to avoid any drug or condition interaction. Never heard of this? It’s a kind of rubber tree. The bark and leaves of eucommia are used in Chinese medicine for the relief of pain and to strengthen muscle, bones, and connective tissue, helping tissues to heal. It contains antioxidants that are thought to be responsible for its cell-protective nature. Eucommia reduces blood pressure and eases pain of osteoporosis with no side effects as the result of anti-inflammatories in the plant. Ginger is a superfood, having a great number of health implications. Frequently used to aid digestion and stomach woes, ginger is an anti-inflammatory–inflammation is often the cause of pain. It doesn’t care where the pain is in your body; it goes to work wherever it’s needed. As both an analgesic and anti-inflammatory, ginger works taken internally or applied topically–you can employ a double-whammy by using it both ways. Prostaglandins are chemical messengers created in the body’s fat cells that regulate various cell processes, such as inflammation—they are what tell your brain that something in your body is injured. Analgesics work by preventing the production of these chemicals, resulting in decreased inflammation, hence pain. Ginger inhibits certain prostaglandins; research has shown that it is better (and safer) at reducing inflammation than non-steroidal drugs. Allow the ginger to cook for 2 full days—check it occasionally to prevent boiling or burning. Decant the oil into a sterile mason jar using cheesecloth or a fine sieve to strain it. Allow to rest for 24 hours so any water separates from the oil. If water rises, either carefully pour it out or remove it using a baster. Water content greatly reduces shelf life. Pour the 10-12 parts of infused oil into a double boiler, heating over medium. Add 1 part grated beeswax and heat until the wax has melted completely. Stir to blend. 2. Remove the mixture from heat and pour into a small, airtight jar. Store the salve in a cool, dark place for up to 10 days. You can refrigerate to extend the life to up to 2 ½ weeks. Massage into painful areas as needed. Curcumin is the pigment in turmeric that gives it the bright yellow-orange color. Turmeric has been used for ages for pain because it is an effective anti-inflammatory and blood thinner. It can not only relieve pain but can prevent it. Curcumin’s other health benefits are many: found to treat depression more effectively than Prozac, preventing and treating cancer, arthritis, and maintaining overall health by virtue of its antioxidant properties. Numerous studies have shown turmeric to be an incredibly powerful agent to prevent and treat cardiovascular disease, autoimmune and neurodegenerative diseases, and regulate blood sugar levels. It’s not difficult (or painful) to add turmeric to your diet, even if you don’t particularly care for spicy food: sprinkle some in whatever you’re cooking, in a smoothie, on a salad, or in delicious golden milk that includes another pain-reliever–ginger–and the nutrition of coconut oil, which also improves its bioavailability. This plant has sedative effects by increasing the amount of gamma aminobutyric acid (GABA, an inhibitory neurotransmitter) available in the brain’s synapses, attaching to it, then preventing it from returning into nerve cells, reducing anxiety of the nervous system. As a result, pain sensitivity is lessened. One teaspoon of dried valerian root with a cup of boiling water makes a pain-relieving tea. May your pain be eased and your health increased.